John hosts the syndicated TV show, Crossing Over With John Edward. Kubler-Ross, 76, is the pioneering author of On Death and Dying and many other books. During her work with terminally ill patients in the 1960's, she identified the now-famous five stages of death: denial, anger, bargaining, depression and acceptance. Originally, she was a non-believer in an afterlife, but her years of work with the dying convinced her of the possibility of communicating with the dead. Louise watched from her rooftop in NYC as the events of 9/11 unfolded. She journaled the sights and sounds that she experienced on that day—and in the days that followed. Here you can view the mural, "September 11" by world acclaimed Seattle French artist/client Isa D'Arleans. 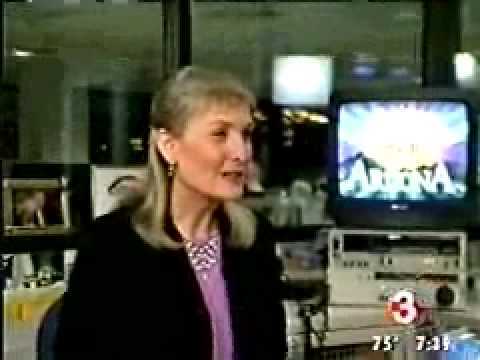 Louise's Appearance on Good Morning Columbus that aired May 2, 2001 on Channel 3, Fox 28 Columbus OH has been added to the Audio/Video archive page. Listen to the cute response from the anchor gal, when Louise's mentions the amazing turn of events in the story, "Snowman Poop," from her book, Heart-Links. Louise explores the illusion of time with functional applications to help you go beyond old perceptions. This will influence how and when good things come into your life and help you end time-stress. Includes a meditation to help you integrate these concepts. Valuable tools to help you embrace inhibiting fears and move through old barriers. Release yourself from past patterns to allow you to live life more spontaneously and more fully in the present. Includes a meditation.